At first, it seemed like it might be just a blip: amidst generally declining sales of physical music, down sharply from their 1990s boom, vinyl sales were trending up. The reversal started with a slight uptick in 2007 – already noticeable as the CD had begun its collapse. That slight uptick has turned into a small boom. From a tiny 300,000 units in US sales in 1993, the vinyl record is projected to do some 3.6 million units in sales. 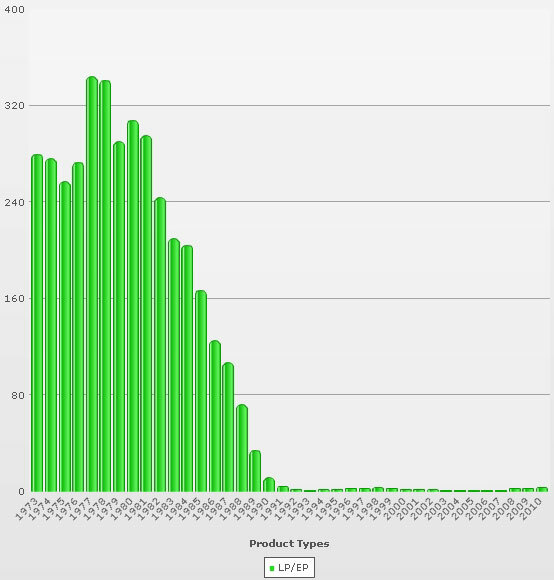 That graph doesn’t show per-unit cost, and anecdotally, artists seem closer to the record release process than they once were. That said, vinyl’s significance in the new world order is arguably more about its cultural meaning than its numbers. (Getting away from numbers – cough, digital – is the point.) Cutting a vinyl record today is about making a physical artefact of a release. It carries with it prestige. Its scarcity is part of its value, with exclusive 12? releases again returning to the days when DJs were judged by the obscure gems in their collection, not the disposable digital hits. 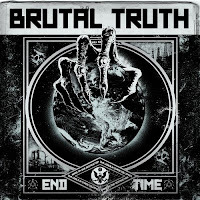 US metallers Brutal Truth have revealed the cover art of their forthcoming album, 'End Time.' 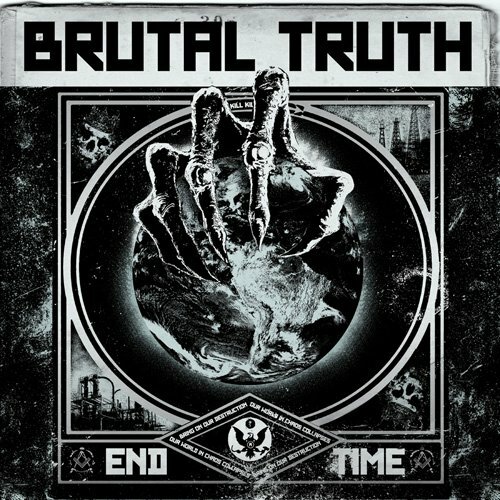 End Time is scheduled to be released on September 27th via Relapse Records. Serious collectors of Frank Sinatra -- the ones who buy the endless CD compilations with one rare track, the under-the-counter bootlegs, the import LPs with different artwork -- are a notoriously tough bunch. They're happy to shell out the bucks for music they've already bought half a dozen times, but heaven help the reissue producers, liner note writers, and (especially) the Sinatra estate if someone screws up. You may recall It Came from the Gutter, a 2010 art exhibit that was shown (appropriately enough) at the Garden Bowl on Woodward. It was a unique exhibit to say the least - more than 75 bowling pins transformed into aesthetically charming objets by an army of talented people. Well, the man behind that show has struck again - and this time with a new and equally intriguing choice in raw material. 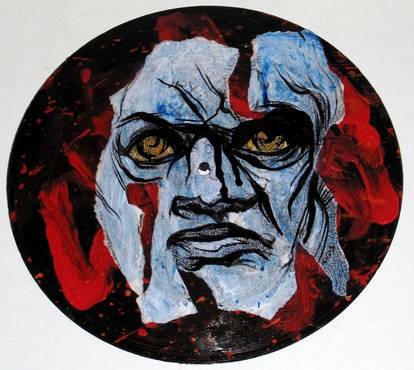 On June 4, you can travel to the Russell Industrial Center and see how Detroit artist Mike Kelly and his friends have found a new use for the discarded LP's and waxen discs of the pre-CD era. It's called Vinyl Redux. - the largest exhibit of its kind in the world — Thursday through Sunday, June 23-26, on the casino level, Boardwalk at Mississippi Avenue. Along with a rare collection of original art, lithographs, photographs, handwritten song lyrics, concert posters, gold records, album art, animation drawings and more from the greatest rock artists of all time, there will also be a special appearance by famed rock photographer James Fortune. The four-day show is free and open to the public each day from 3pm-midnight Thurs.-Sat., and noon-6pm Sun.. All works are available for purchase. In 1942, Glenn Wallichs launched Capitol Records in the U.S. The label became home to such artists as Frank Sinatra, The Beatles, The Beach Boys, Eddie Cochran, Gene Vincent, Bobby Darin, Dean Martin, Glen Campbell, Steve Miller, Dr. Hook, Bob Seger, Tina Turner, Heart and countless others. Wallichs was the man who invented the art of record promotion by sending copies of new releases to disc jockeys. Janis Joplin joined Big Brother & the Holding Company in 1966. In 1975, the Rolling Stones become the first western rock band to receive a royalty check for songs aired in Russia. In 1976, live recordings were made at the new wave venue GBGBs of performances from Blondie, Mink DeVille, Talking Heads, Laughing Dogs and Tuff Darts. The tracks featured on the album Live At CBGBS New York. In 1983, the Police started a four week run at #1 in the U.K. with “Every Breath You Take” the group's fifth and final No.1 single. Taken from the bands album Synchronicity, Sting won Song of the Year and The Police won Best Pop Performance for the song at the 1984 Grammy Awards. 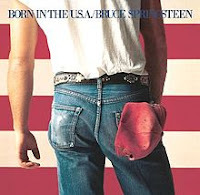 In 1984, Bruce Springsteen released the album, Born in the USA, which went on to top the U.S. chart for 7 weeks and spawned 7 Top 10 singles. The LP went on to sell over 15 million copies in the US alone. In 1992, the U.S. Postal Service announced the results of a poll conducted to see which picture of Elvis Presley should be used on a commemorative stamp. The young Elvis beat the older Vegas Elvis. In 1994, Derek Leckenby, lead guitarist for Herman's Hermits, died of cancer at the age of 51. It was announced in 1996 that Crowded House had split up. The Metallica album "Load" was released in 1996. In 1997, ex-Small Faces, Faces and leader of Slim Chance, Ronnie Lane died aged 51 after a 20-year battle with multiple sclerosis. Also in 1997, Jeff Buckley’s body was discovered floating in the Mississippi River. A passenger on a tourist boat spotted the body near the southern tip of Mud Island. The singer, songwriter had disappeared when swimming on May 29th. In 2001, John Hartford, the songwriter who wrote Glen Campbell's hit "Gentle On My Mind" and recorded a catalog of more than 30 albums, winning Grammy awards in three different decades, died after a long battle with non-hodgkin's lymphoma. He was 63. In 2010, Billboard magazine reported that weekly album sales may have hit its lowest point since the early 1970s. According to the RIAA, album shipments in 1973 totaled an average of 7.47 million per week, while last weeks sales totaled 4.98 million units. One industry executive described the situation as "pretty scary." What Makes an Indie Record Store Owner Tick? More of an informal sampler than a comprehensive look, James P. Goss’s “Vinyl Lives” offers a fascinating glimpse into the mindset of folks both sufficiently crazy and persistent to own record stores in the face of the Internet download juggernaut. Combining interviews with narratives Goss effectively highlights the rise (and in some cases the fall) of twenty three indie record stores from coast to coast and places in-between—some of which you’ve surely visited or from which you’ve received emails. Among the stores profiled are New York City’s Academy Records, Cheap Records, Cambridge, Massachusetts, The Great Escape in Nashville, Record Recycler in Torrance California, Vintage Vinyl in St. Louis, and Enterprise in Portland, Maine (one of the few all-vinyl stores left). Goss keeps it interesting by spending less time on the store contents and more on the mindset of the owners, some of whom are fascinating characters. These are stories of obsession and tenacity, good instincts and luck, sometimes combined with idealism bordering on the foolish. There are profiles of smart, recent up and comers like Amoeba’s co-founder Marc Weinstein who opened his big second store in Hollywood back in 1997 and Tower’s Russ Solomon who lost it all and closed his doors in 2006. 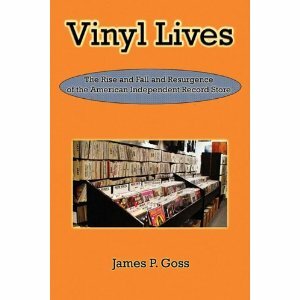 The book is worth reading just for the Tower and Amoeba stories, though much else will be of great interest to vinyl lovers. There are sad stories of closings like John Goddard’s famous Village Music in Mill Valley California, one of those legendary “one day I’ll visit” places I never managed to get to before it closed in 2007 (online sales only now) and uplifting stories of survival. Goss also talks to Records By Mail’s Craig Moerer who started his mail order only business in 1974 and now operates out of a 6000 square foot warehouse. Record collectors unaware of the realities of square footage calculations, paying rent, employees and the rest will find the realities of what seems like a fun business somewhat harsher than might be expected. There’s also luck. Now closed once thriving Rhino Record store in Westwood California near U.C.L.A. moved into a new location a few blocks away from the old one that opened September 11th 2001 a month before Amoeba’s giant store opened in Hollywood. And so it goes.